Raise your hand if you’ve always wanted to go to Las Vegas. Well, you’re not alone. Visiting Las Vegas for the first time can be super overwhelming, especially if you have kids. The weather is usually great in Las Vegas, so it’s the perfect opportunity to see and do as much as possible. 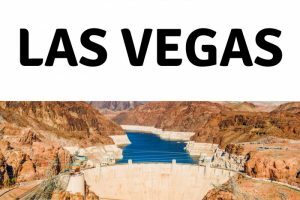 Use this Las Vegas Travel Guide to help plan your vacation. Circus Circus Hotel and Resort – When headed to Las Vegas, why not stay here? A great place to stay close to the Las Vegas entertainment, all while staying on budget. Red Rock Casino and Resort – Trip Advisor users have ranked this hotel and casino the #1 best in Vegas! Trump International Hotel Las Vegas – Love him or hate him you have to hand it to Trump, he knows how to put together a good hotel. While in Las Vegas, this hotel is always an option. 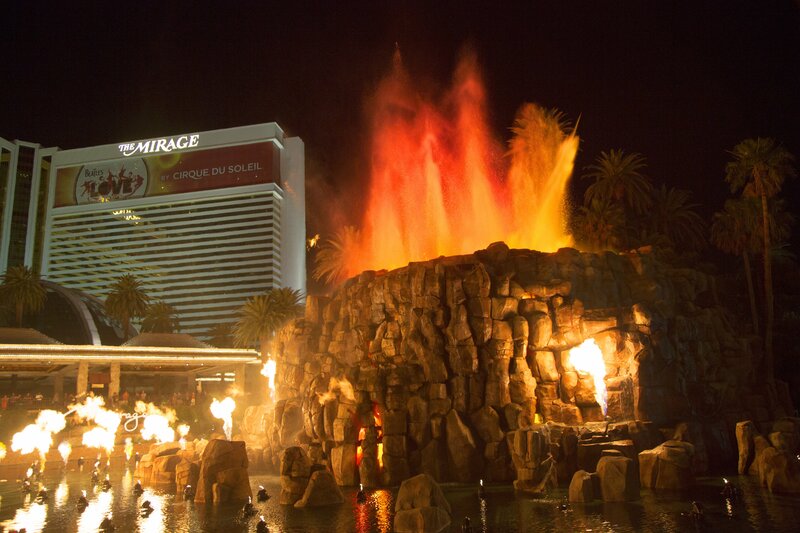 The Mirage – A beautiful hotel located in Las Vegas! We’re talking a hotel and plenty of other amenities, restaurants, and nightlife to enjoy. Extended Stay America – Las Vegas – Everything you need to enjoy a beautiful stay in Las Vegas. Everything from a swimming pool to an onsite fitness center. Camping in Las Vegas – Camping is Las Vegas is a real thing. Check out the Las Vegas KOA. 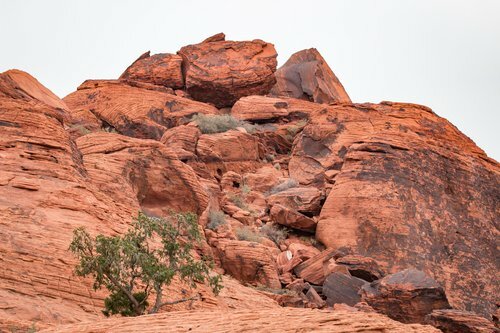 Red Rock Campground is another camping option when you’re in Las Vegas. Have an RV? You may want to check out the Thousand Trails Las Vegas RV Resort. We love our Thousand Trails membership and it allows us to stay here free! Airbnb Rental – Ok the Airbnb’s in Vegas take the cake! The first one I pulled up was on the strip 50 floors up for only $57 a night! I am also seeing some hotels list unsold rooms here for super cheap too! There is even one with a Beligo fountain view! Sign up for free with my link and get a $40 travel credit! HomeAway Vacation Rentals – HomeAway has many beautiful condos and even unsold hotel room as well! If you are booking your stay online make sure to check out if you can get cash back from Ebates Travel! Blueberry Hill Family Restaurant – When you want to eat a nice meal with the whole family, this restaurant is a go. There are plenty of breakfast items and comfort foods to enjoy. Ricardo’s Mexican Restaurant – Well, when you’re in Las Vegas, why not try some Mexican food? Word has it that Ricardo’s is where it’s at! My family loves a good authentic Mexican restaurant. Fat Choy Restaurant – Although the name may sound a little silly, this is a great place to grab a bite to eat while in Las Vegas. You can even grab brunch on Sundays. Asian American food sure can be delicious. Mr. Mama’s – This restaurant is rated #1 on Trip Advisor in Las Vegas which is quite a feet being there are over 4,100 restaurants in the city! The Buffet at Wynn’s – This place has been featured on the Travel Channel and Food Network a few times. This isn’t some cheapo buffet. You will pay around $40 per adult but it is all you can eat and the decor is amazing. They have everything from Prime Rib to Crab Legs and a huge dessert bar. Bring your appetite and you will get more than your money’s worth! Esther’s Kitchen – This is a farm to table Italian restaurant that is getting rave review right now! The Mob Museum – A unique, but fun experience to check out while in Las Vegas. There is so much Mob history here (and I don’t doubt there still is) it’s all very fascinating to see! LAS VEGAS – June 4: The Venetian Resort Hotel & Casino on July 17, 2008. The resort opened on May 3, 1999, with a flutter of white doves, sounding trumpets, singing gondoliers and actress Sophia Loren. 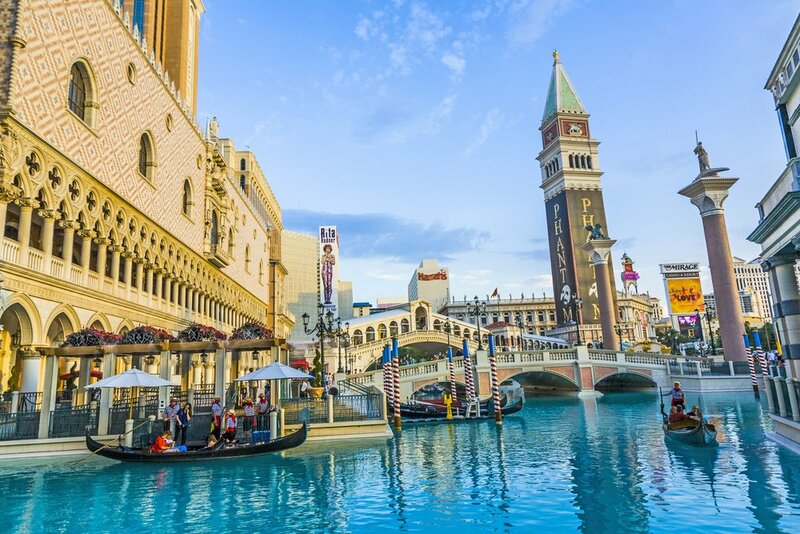 Gondola Ride at the Venetian – Yes! My kids have been asking me to take them on a gondola ride forever. Blue Man Group at the Luxor – Your whole family will love seeing the Blue Man Group, they put on such a fun show. Eiffel Tower Experience – This may be as close as you get to the real thing! HotAirBalloonVegas – If you’re going to see the city, you might as well see it from the comfort of a hot air balloon ride. Your kids are going to love it! Red Rock Canyon National Conservation Area – This area has some of the best places for pictures outside the city. THere is so much to do from camping and hiking to just driving it and taking in all the animals! If nothing else there is a 13-mile drive with many stops that is worth the trip! Stratosphere Tower – There so so much to do here from a restaurant to rides the top of the tower. Plus you can’t beat the views of the strip! Mandalay Bay Shark Reef – Petting sharks isn’t something you get to do every day, make sure you check out this exhibit. Famous Hoover Dam at Lake Mead, Nevada and Arizona Border, United States. 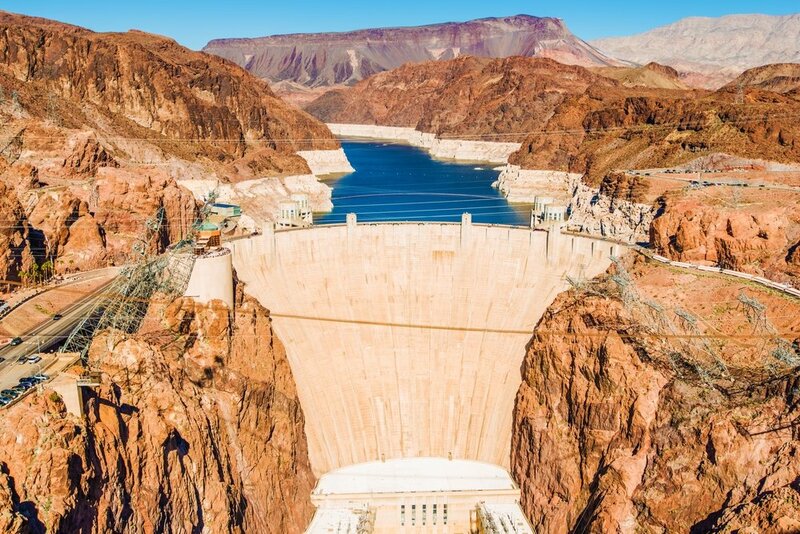 Hoover Dam – The tour here holds so much info about the Dam and you can’t beat the views! Try a helicopter tour. One of the best ways to save money on a trip is to just not spend any. These 83 Free Things to do in Las Vegas NV are a great place to start! GetAway Today – When you are booking your trip sometimes the best way is to book a package deal. Check with GetAway today, they have some great Las Vegas packages. Now once you have your stay booked look for attraction discounts. Pogo Pass – Pogo Pass has a few locations, One being Las Vegas and is good for 1 year and covers 14 attractions. You can get the Pogo Pass for $39.98 per pogo pass when you use coupon code ROAMING at checkout. 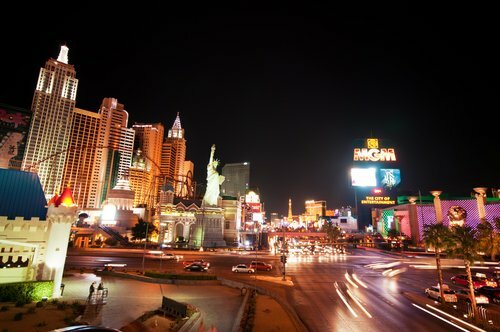 The Las Vegas Pass -If you are looking to save one the top attractions while visiting Las Vegas make sure to check out the Las Vegas Pass, buy one pass and get into over 50 attractions. Best of Vegas – This is one of the best places to get discount show tickets! You can’t take in Vegas without a show! Groupon – Once you know your dates you can start checking out Groupon. Looking around right now they have discount show tickets, discount water park tickets, beer tasting, discount zoo passes, and so many discounts and restaurants too! So if you have been to Vegas was are your tips for those planning their first trip? 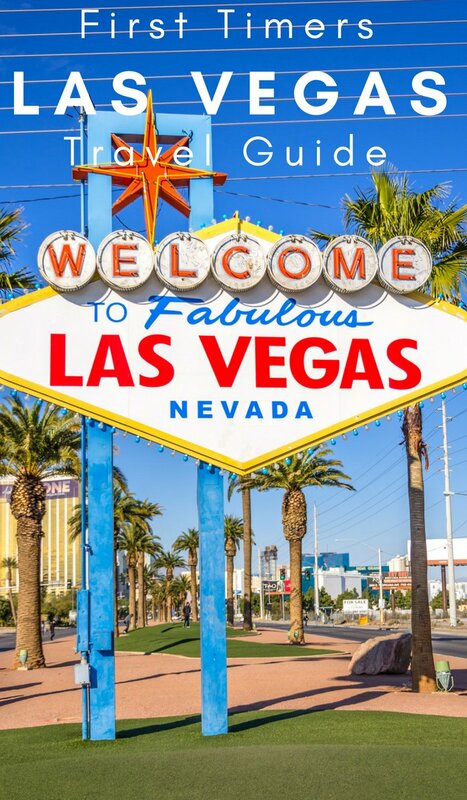 Let us know in the comments below and we will add it to this Las Vegas Travel Guide!